It’s not hard to find at least one delicious restaurant wherever you are. But it is harder to find seven eateries in the same town, all run by the same people, that offer different flavors–and are all outstanding. In Eugene, diners can find French flavors at Marché and Le Bar, authentic tonkotsu ramen at Market Ramen, artisan pastry, pizza and specialty foods at Provisions Market Hall or a classic, juicy chicken dinner at Winner Winner. Within Provisions customers can enjoy Blackboard, a wine bar and bistro featuring a rotating selection of more than 20 wines by the glass, plus beer and cider on tap. Marché Museum Café, an outpost on the campus of the University of Oregon campus, is a beautiful, shady oasis within the Jordan Schnitzer Museum of Art where you can study with a latte or grab a picnic panini. All of these concepts are part of the Marché Restaurant Group. The restaurant group that started with the pioneering farm-to-table restaurant, Marché, reached their 20-year anniversary this month. 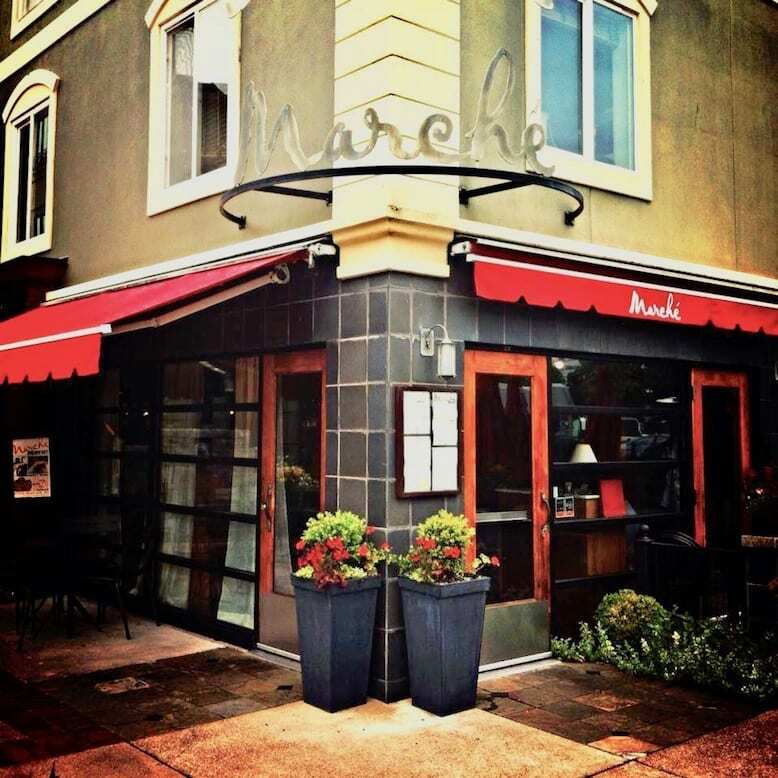 Marché’s secret is a focus on classic, ingredient-driven recipes and hospitality that never goes out of style. Le Bar is their expression of a Parisian bar, serving Marché-quality food and classic, handcrafted cocktails in a slightly more casual environment. Enjoy one of Marché’s renowned burgers and a beer, or meet a friend for a drink at the daily happy hour. Open late, Le Bar is a cozy, casual hideaway. Upstairs in the same building, the Eateries at Fifth Street Public Market, houses Market Ramen, a tonkotsu ramen shop by Marché’s executive chef Rocky Maselli. Bowls are made with local ingredients, with particular attention to a rich broth made from local pork, local vegetables and handmade noodles. Vegetarians can enjoy a rich tomato-miso broth. Sit in one of 12 seats at the bar and watch the chef make your bowls, then enjoy their beautiful presentation and eclectic Japanese tableware. Also in the Eateries, Winner Winner offers combination plates of juicy rotisserie chicken, big salads and decadent desserts plus takeout featuring a whole Northwest-grown bird that’s dry-brined, marinated and roasted. Choose from delicious sides like panzanella, kale salad or drippings potatoes. Provisions Market Hall is your one-stop shop for wine, beer, cheeses, meats, produce, specialty food and more. Staff will happily prepare a picnic basket for you, or you can select from the shop’s well-stocked shelves. Within Provisions, the Blackboard wine bar is at the crossroads, right next to the specialty food section, a beautifully curated gift and housewares section, and the meat and seafood counters. Enjoy your wine (no corkage fee) with food from any of the eateries, or select oysters and salumi from the butcher shop. On Friday nights at 5pm, Provisions hosts Cicchetti Night, offering Italian small plates and classic drinks like Negronis. Fifth Street Public Market, where all but the Marché Museum Café is concentrated, is one of Eugene’s most vibrant neighborhoods, and it’s expanding all the time. With a fine boutique hotel onsite, another one nearby and another hotel and shopping complex planned for the coming year, many travelers to Eugene and residents end up here. 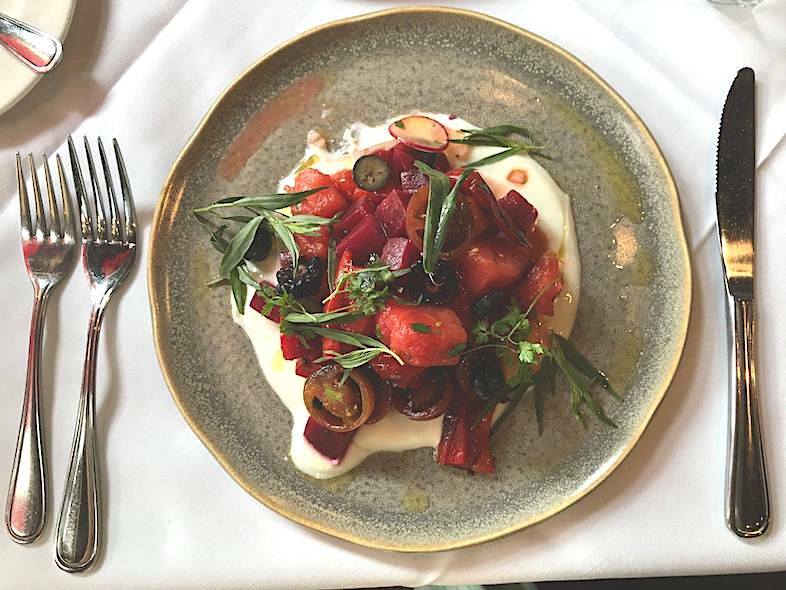 Whether you’re here for a day, a week or a lifetime, there are so many flavors to explore–through Marché Restaurant Group’s eateries, you’ll never run out of things to try. Provisions Market Hall opens daily from 7am to 8pm. Blackboard, within Provisions, opens Monday through Friday from noon to 8pm and Saturday and Sunday from 9am to 8pm. Winner Winner (458-210-2213) is open Monday through Saturday from 11am to 7pm and from 11am to 6pm on Sundays. Market Ramen is open Monday through Saturday from 11am to 7pm and from 11am to 6pm on Sundays. Marché and Le Bar are open Sunday through Thursday from 8am to 11pm, Fridays and Saturdays from 8am to Midnight. Marché Museum Café opens Monday through Friday from 8:30am to 4pm and Saturdays and Sundays from 11am to 4pm. Featured story sponsored by Marché Restaurant Group.